In the United States, annual physicals are part of the fabric of our health care system. For adults, even perfectly healthy ones, an annual visit to the doctor has long been considered to be the foundation of good care. But recently, experts have begun questioning whether our collective belief in this ritual is reasonable. Are the benefits of annual care actually as great as we think? Can patients get the benefits of the yearly checkup in other ways? In an editorial recently published in The New England Journal of Medicine, Drs. Ateev Mehrotra and Allan Prochazka explored the complex issues surrounding annual physical exams. In the name of improving “value” in health care, they argue that these routine visits should not continue. As physicians and health care policy experts, the authors understand that it will be difficult for all of us to change this practice. Although a number of professional guidelines recommend that physicians should no longer follow the tradition of the annual exam, data show that the frequency of these exams hasn’t diminished. Both doctors and patients are strongly wedded to the practice, and surveys show that the majority believe they should continue. But what are the true benefits of this practice? Careful reviews of several large studies have shown that these annual visits don’t make any difference in health outcomes. In other words, being seen by your doctor once a year won’t necessarily keep you from getting sick, or even help you live longer. And some of the components of an annual visit may actually cause harm. For example, lab tests and exams that are ordered for healthy patients (as opposed to people with symptoms or known illnesses) are statistically more likely to be “false positives” — that is, when test results suggest a problem that doesn’t exist. Even if these inaccurate findings affect only a tiny percentage of the more than 200 million adults who would undergo such exams, the monetary, practical, and emotional costs are huge. Drs. Mehrotra and Prochazka indicate that reducing the number of annual exams would save both money and time. The time that primary care doctors currently spend on these visits could be used to address urgent needs and expand access to health care for those in need. They recognize that this change will be a hard sell, in part because many doctors and patients perceive the annual visit as a critical opportunity to cement the doctor-patient relationship and a way to ensure that people receive appropriate screenings and preventive care. In order to encourage this shift, the authors propose three steps. First, they recommend a new type of visit solely to focus on the doctor-patient relationship. This would allow those who are new to a physician to have an initial visit to establish a relationship, and allow others to be seen on some routine interval (perhaps every 3 years or so) to maintain it. The emphasis would be more on medical and social history, and less on the exam or screening laboratory tests. Second, they acknowledge that if the annual visit is to be discarded, primary care doctors will need to find a more proactive way to monitor their patients’ attention to preventive care. They suggest that waiting for patients to keep their annual visits to review this is too “passive” an approach, and encourage practices to shift to “active engagement” of their patients. Ways to do this might include: online risk assessments, waiting-room questionnaires, and a review of preventive care at any visit to the doctor. Finally, they suggest that in order for doctors and patients to embrace this shift, payers must make changes as well. The authors recommend that health plans and government programs no longer pay for annual visits or use regular checkups as a measure of health care quality. The demise of the yearly checkup will feel like a loss to many patients and their doctors. But the authors encourage us to think creatively about ways to maintain the important values of this visit in new and more efficient ways. Their “checkup” suggests that the “checkup” needs a major surgery. To push the metaphor, if we follow through on their suggestions, then like any procedure, it will be healthier in the end, but we will all likely feel some pain as we go through it. This discussion isn’t just theoretical for me. As a primary care doctor, I agree that the benefits of the yearly checkup can and should be achieved in other ways. At the same time, I know that making these changes with my patients will be difficult. Discontinuing the annual physical will be felt as a loss, as a form of abandonment, for some. The most powerful way to address this will be to recognize and name that loss, and to let patients know that the important parts of the annual will endure: attention to their needs, attention when they need it, and attention to their routine preventive care — just all without the annual visit. Regular checkup is really important. Thank you for useful information. I totally think that a yearly check up is necessary! I have a private cardiologist and I have no fault booking an appointment with him once a year. A couple of years ago, when I was a young, spritely individual, I got a bit of a heart scare. You might not think it’s necessary if you’re young, but trust me it is. I’m glad I have a private heart specialist to look after me haha! Great information ! I have started implementing them in my blog @homeremdiesforgirls. Yes it is correct . Perhaps we do not need an exhaustive checkup on a yearly basis but knowing about the essentials of our health is definitely necessary including factors like pressure and sugar particularly if we are obese or lead unhealthy life-styles. Interesting point of view. But for me, regular checkup is something really important. It can be done only once, and may not spend too much expense. What we can get is an early alarm of possible unhealthy condition or sign of dangerous disease, which will be better to treat before it’s too late. Early detection and early prevention is better than Cure at a later stage, concerning the trauma factor and it’s allied complications to the citizen and the society. Healthy minds,bodies,spirits,souls and heart ensures healthy nation for productive and collective peace, progress,prosperity with care,concern and compassion,we live only once,living it right,once is enough. Contribute to educate,employ,energize,enhance and empower one and all. Have a healthy,wealthy, wise,happy and successful nation. A. Manimaran. M.S,B.L,D.S.W,COUNSELOR. MOBILE+919840447410. Of course expsruoe tot he radiation is a cancer hazard. Did you know that the little holes on the front panel are designed in a specific size to prevent radiation leakage? It does not mean that leakage can not occur around the door seal. I have noticed that microwaves also have warnings about the rear of the device; I assume that no shielding is provided for the rear of the machine. With cut-backs in healthcare, and attention given to the bottom line for some healthcare plans, this is a dangerous recommendation. Cancer and many chronic illnesses are rampant in our country, and regular exams are the only insurance to catch them at an early stage, when they are still treatable. 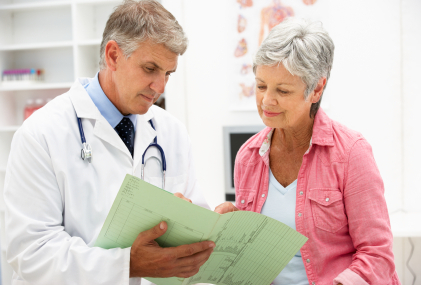 Mammography, colonoscopy, pap tests, blood work are all designed as preventative measures. Tests and lab work are also designed to detect changes in blood sugar (only an A1C can diagnose diabetes); and high blood pressure, a silent ailment, can quickly lead to coronary artery disease, stroke and heart attack. Alternatively, heart health can be maintained through daily oral medication. And last but not least, our country needs a broad net to detect and control communicable ailments like AIDS/HIV, SARS, TB and other viral illnesses, which may, if undetected, lead to major epidemics, affecting millions of people who work in an office, ride the train, or deal with the public. It is simply bravado to say doctors may be obsolete. As someone who has had annual exams faithfully for decades and four years ago was diagnosed with a very early breast cancer that was promptly and successfully treated, I can only surmise this article was written from the perspective of bean-counters for insurers. If a three-year schedule of check-ups had been in place, I would only now be receiving a much worse diagnosis, and very much worse prognosis. Perhaps the authors could have explained how preventative screenings would be adequately provided, rather than implying that annual visits are an unnecessary social and psychological crutch for patients. But hey, I am just a humble citizen. ” reducing the number of annual exams would save both money and time” While seniors wait around for a substitute to be developed and approved to replace annual visits, old folks, in effect become their own doctors. Do I know the early symptoms of various diseases? Do I recognize some general discomfort as an indicator of a more serious issue and therefore just chalk it up to old age and wait for it to get bad enough so that I have to be carted to the ER? Two years ago on my annual visit, my doctor noticed a minor anomaly on my prostate gland. That led to a referral to a urologist and oncologist who identified Level 3 cancer (even though my PSA test was still and had been normal for years). If I had not had not had that annual physical who knows how long I might have gone with the unidentified cancer growing in my body? I’m glad that primary care doctors want to save money and time. The medical specialists, the hospitals, and the funeral homes need the business. Anyone who takes a prescription medication is required to see a physician annually even if it is something benign like a skin cream or antihistamine. That needs to change to every two years. travel enough known bird Dodo. The same the matter o fact within temrature and phonos etc we know how to make warm for flat, bungalow etc so we are able to create new planets within the condition to continue our current living … Mechatronic within human body is not the very best idea, but let’s is possible “immortality” …. This looks more like justification of cost cutting for providers and insurers than it does an improvement of actual healthcare. The notion that annual (or other regular) physical exams should be abandoned for all patients, regardless of age and medical condition, strikes me as simplistic in the extreme. Annual physicals may be unnecessary for certain sectors of the population, but for many people — especially the poorer and less educated — these may be the only way to ensure that they receive the attention they need. Which lab tests should be routinely ordered as part of a physical is an entirely different issue. A regular health check up is always required and necessary for everyone. And for old people it is strongly recommended. There may be many medical problems that may arise suddenly in case of elderly. Assisted living in morris county NJ provides facility of regular medical check up for seniors. “Copy Paste” response is bnlrliait but he would do well not to plagiarise other peoples responses!!!!!!! !The fact is that exposure to microwave radiation for extended periods may well cause certain cancers to occur. They may also cause cataracts, birth defects and other serious health problems including nervous system damage, headaches, and pacemaker interference.However, new ovens are typically designed so as not to exceed 1mW/cm2 of radiated power. In addition, any leak that exceeds 5mW/cm2 at a distance of 2 inches from a microwave oven is considered to be dangerous and the oven should not be used. Ovens can deteriorate over time and should be checked to ensure that these limits are not exceeded.This can be done by your local service centre or you can purchase an earth leakage detector and have it on hand to keep a regular maintenance check of your oven. If an oven is in good condition then it would present no more risk then anything else around your home such as eating processed food, using mobile phones, living near HV power lines, or living in your house which exposes you to electromagnetic radiation from the electrical wiring. Also, as I had indicated in an earlier posting;the other aspect and some area of concern is the safety of eating foods from a microwave. This really depends on the containers used to heat the food in. Some plastics, for instance, are more prone to the effect of “migration”. whereby some additives used in plastics are more likely to migrate to foods more than others. The main concern in the past has been in connection with plasticisers which are used to improve the flexibility of some packaging materials. As the tendency for plasticisers to migrate increases at higher temperatures, only those plastics specifically designed for oven use are suitable for cooking. To reduce any possible risk one should;* Use only microwave-safe utensils. * While some packaging films may be labelled ‘microwave-safe’ care should be taken to avoid direct contact with the food when using them to cover containers or to reheat dinners on plates. * As migration is more likely to occur into hot fatty foods, glass containers are a suitable choice for heating these products. As yet there are no standards for claims such as “microwave safe”; if you are in doubt as to the safety of such materials contact the manufacturer or use a ceramic/glass alternative.In the end, I guess time will tell as to what other possible adverse effects, microwave ovens may have on our lifes!